I know it has been a while since I updated the blog. First, we’re past most of the big changes so there hasn’t been a lot to report. Secondly, one of my sons has had a big surgery and has been in and out of the hospital so I’ve been busy with his care. However, I didn’t want National Adoption Month to pass by entirely without a blog post so here are all of the articles I’ve saved over the past few months. The biggest news is that about a week ago the CCCWA released instructions regarding foreign adoptive parents traveling back to visit orphanages on heritage tours. Orphanages can no longer charge for these visits, they must let families tour the orphanage, view the child’s file, and be generally welcoming. You can read the initial China News Net release here using Google Translate. The Atlantic recently ran a feature about Second Chance Adoptions called When Families Un-Adopt a Child. Korean-American adoptee Nicole Chung recently wrote a memoir titled All You Could Ever Know which has been well received in adoption circles. The Fraught Language of Adoption is an interview with her which explores her feelings about adoption. The National Council for Adoption has an interesting breakdown of the financial aspects of international adoption agencies in their post Where Does All the Money Go? 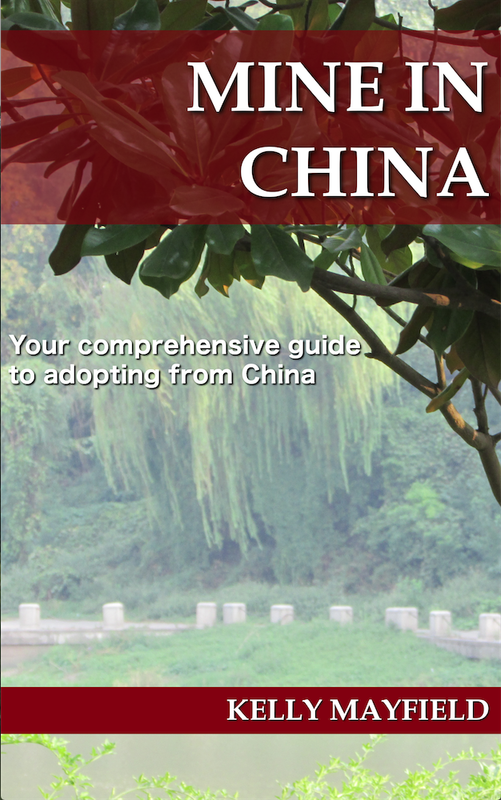 From China File, a look at how China’s NGO law has effected international adoption. Chuck Johnson, of the National Council for Adoption, penned an opinion piece for USA Today accusing the US State Department of being anti-adoption and blaming their policies for the steep decline in intercountry adoption over the past 15 years. I feel the decline is because the population of children available to be adopted internationally has changed from healthy infants to older children and those with special needs. However, many in the adoption community share Johnson’s opinion. On WACAP’s blog read the heartwarming We Could Have Missed This: Adopting a son. The Global Times ran an article looking at the factors involved in China’s increasing birth defect rates. Elizabeth Curry responds to the ever popular question of why anyone should consider adopting internationally when there are children in the US needing homes. Holt’s blog has a post on considering alcohol exposure as a need for your child. This is typically seen in Korean adoptions rather than China because there is no birth parent information in Chinese files. However, it is still good information to keep in mind. From WACAP’s blog, a summary of the changes they’ve seen in the China program and why they still feel it’s an excellent choice for families. Adoptee Ashley Westerman reports on international adoption for NPR’s Morning Edition. You can find links for both parts here. Kristin writes a poignant post for NHBO on her feelings about not being able to move forward with adopting a specific child after China’s eligibility changes last year right after they had sent in LOI. MLJ Adoptions has a good post on protecting your child’s privacy while fundraising for adoption costs. Greg Eubanks writes how his perspective has changed over the years about their decision to change their son’s name at adoption. This entry was posted in Uncategorized and tagged What I'm reading on November 29, 2018 by minefam.